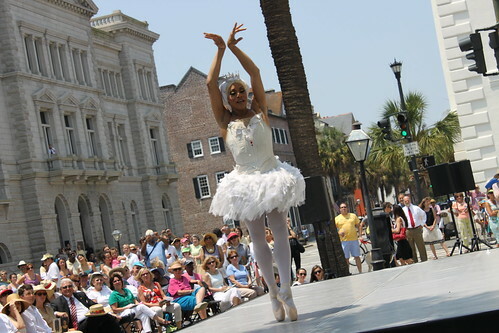 Update May 29: Live 5 News has some video from the opening performance; watch it here. Also added links to the "more coverage" section below. Update May 28: The heat was unrelenting at this afternoon's opening ceremony, but it was still a charming little affair that had a little trick up it's sleeve. All of the usual suspects were on hand, Mayor Jospeh P. Riley, Jr., Mrs. Martha Rivers Ingram, chairman of the board at Spoleto Festival USA and lovers of all things art. Special guest speaker Michael Colgan, director of the Gate Theatre in Dublin spoke about the wonderfully restored Dock Street Theatre, the uniqueness of Spoleto Festival and the beauty that is Charleston's support of the arts. 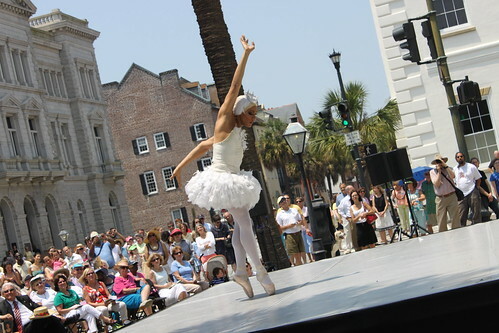 The special surprise to the typically tame ceremony came at the very end, when Charleston native Robert Carter of Les Ballets Trockadero de Monte Carlo performed a beautifully quirky dance dressed in drag. 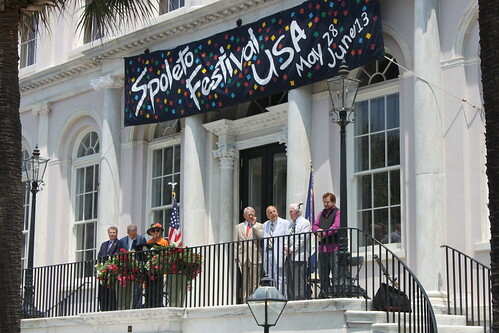 The big day has arrived: Spoleto Festival USA kicks off in the Lowcountry this afternoon with opening ceremonies down at City Hall and will be followed by the first evening of Spoleto performances of the 2010 season. 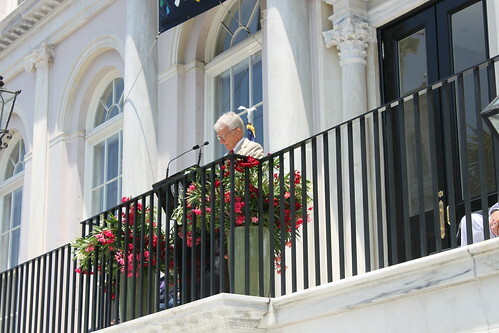 Head down to City Hall at noon as Mayor Joseph P. Riley presides at the opening of the 34th annual Spoleto Festival USA. This afternoon's ceremony will features a surprise performance by high-profile Spoleto Festival USA guest artists - your guess on who it might be is as good as ours. City Hall is located at the corner of Broad and Meeting streets.